WHS reader Paul Hagerty recently sent me a very interesting paper titled "A Satiety Index of Common Foods", by Dr. SHA Holt and colleagues (1). This paper quantified how full we feel after eating specific foods. I've been aware of it for a while, but hadn't read it until recently. They fed volunteers a variety of commonly eaten foods, each in a 240 calorie portion, and measured how full each food made them feel, and how much they ate at a subsequent meal. Using the results, they calculated a "satiety index", which represents the fullness per calorie of each food, normalized to white bread (white bread arbitrarily set to SI = 100). So for example, popcorn has a satiety index of 154, meaning it's more filling than white bread per calorie. One of the most interesting aspects of the paper is that the investigators measured a variety of food properties (energy density, fat, starch, sugar, fiber, water content, palatability), and then determined which of them explained the SI values most completely. As I've explained on this blog before, the brain "shuts down" or ignores feelings of fullness when you consume highly palatable foods, and this can be mimicked by administering drugs (such as marijuana or opiates) that stimulate these brain pathways directly (2, 3). That's one reason why there's always room for dessert. The mechanism of this effect has been partially worked out, and involves communication between brain regions that regulate reward and food intake (4, 5, 6). Palatability was one of the two strongest predictors of SI. It was tied at first place with energy density (calories per gram of food)*. The more energy-dense a food, the less space a given number of calories occupies in the stomach. Lower energy density, and higher water, fiber and protein content were associated with higher SI, while palatability and fat content were associated with lower SI. Starch and sugar content were not associated with SI. SI predicted subsequent food intake, such that foods with a higher SI led to less calorie intake two hours later. This study, along with many others, suggests that focusing on simple foods that have a lower energy density leads to greater fullness and less subsequent food intake, and conversely that highly palatable energy-dense foods promote excessive food intake. Potatoes, sweet potatoes, meats, fish, vegetables, fruits, rice and beans are foods with a moderate level of palatability and energy density, and are consequently helpful for weight loss and maintenance. Conversely, baked goods, candy, ice cream and fried foods have the lowest SI, reflecting their extreme palatability and energy density. These are exactly the same foods people eat to relieve stress, which reinforces the fact that they are hyper-palatable and hyper-rewarding (7). In my opinion, these are among the most fattening foods, and the obesity literature as a whole supports this. ...simple, 'whole' foods such as the fruits, potatoes, steak and fish were the most satiating of all foods tested. Interestingly, many plant foods such as beans, lentils and potatoes contain antinutrients which can delay or inhibit the absorption of nutrients or affects gastrointestinal hormone release. These factors could contribute to their greater satiating powers. * Also, water content, but this is basically a proxy for energy density. Super cool study with pretty darn clear results! What happens when you add butter to the potato? My guess is that it would move down and to the right on the graph, and by extension, minimizing additions to these types of simple foods would help curb overeating. Maybe the full-loaded baked potato is a conspiracy by the good industry...or just something a clever chef invented to get rid of extra, day-old baked potatoes! I would be interested to find out exactly which fatty foods the researchers used; a naturally fatty steak is surely not the same as onion rings or potato chips. Thanks for sharing this. This is exactly what I needed to find today! Very cool stuff. I second Chris in wondering what happens to buttered potatoes. Obviously if energy density and fat content (maybe the same thing?) move to the bottom right..adding butter would pretty much accomplish that. Perhaps we could estimate the drop by looking at the results closely. I'd love for them to get more research funding to try a similar study. I don't think short-term satiety necessarily predicts the long-term effect. This is an old study that has been circulating in fitness and weight-loss communities for years. 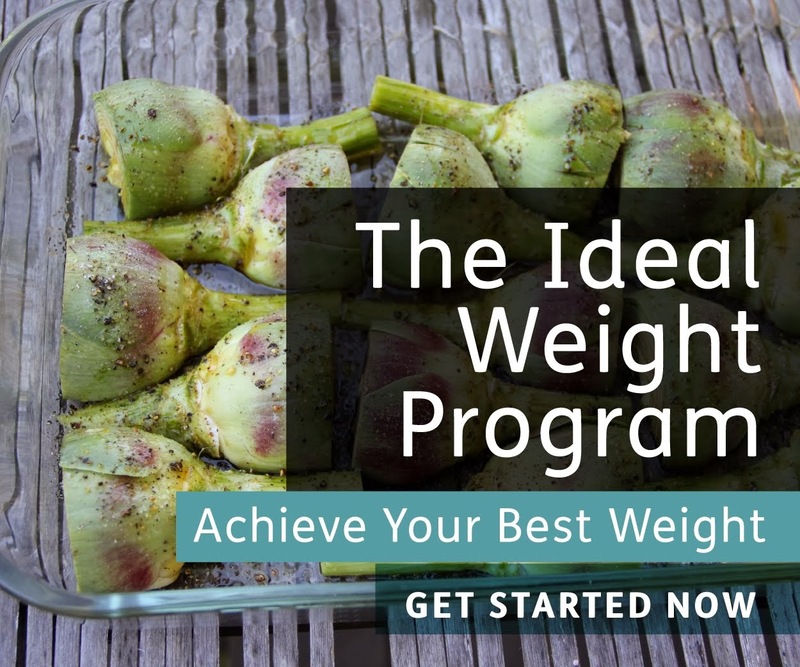 Eating a diet of bland, low-calorie density foods with lots of fiber, water and protein and sloshing it down with low-calorie beverages is the most standard weight loss advice given in these circles. If losing weight sustainably was as simple as eating a boring low-calorie density diet then all dieters should be raging successes, because that is exactly what they do, yet the problems of dieting (ie extreme hunger and cravings for palatable foods, fatigue, loss of libido, weight loss stalling and rebound fat gain) are nearly universal. I think eating low-calorie density foods is like drinking diet sodas, it may fill you up for the moment but it can't fool your body, it will eventually sense that its not getting the calories it needs. Given that chronic stress has such an important role in both obesity and disease, reducing it with foods seems to be beneficial. Are you not concerned that advising people to completely deprive themselves of food reward will increase their stress levels? It's really superb study in this post..
Collden - can you provide more information on the "C" vs. "V" diet? Surely it depends on how an individual is deciding on satiety. On deciding how full they are, are they thinking about how much more they can eat? And if so are they considering how much more of the test food they could eat or how much more of any type. How was the question on fullness put to the the participants? Because if they were considering how much more of the test food they could eat, then surely the study would just be measuring palatability anyway. There was no fat group, so I'm going to assume the fat was mostly from the snack foods and bakery products; that's not a surprising correlation. I bet raw potatoes have a very high "satiety index." Who wants to volunteer for that experiment? "The diets were designed to provide a mean of approximately 20 % less than the theoretical energy requirements of the subjects. Theoretical energy expenditure was established by taking into account the body weight, age and physical activity of all subjects, using equations proposed by WHO(10). Both diets were structured with the idea of approximating them to the theoretical ideal by increasing the relative consumption of either vegetables or cereals; earlier studies have shown that these foods are those with the greatest differences between their observed and recommended intakes(11,12). The subjects were then randomly assigned to one of two dietary intervention groups. 1. Diet C: With this diet, the weight-control measures were based on restricting the consumption of energy-rich foods and increasing the consumption of cereals. Whole-grain breakfast cereals and cereal bars were particularly recommended (a minimum of 3 servings daily) since, apart from carbohydrate, they also provide fibre, vitamins and minerals. For breakfast subjects had to include 30 g cereal, and for dinner 40–60 g. They also had to include a cereal bar as a mid-morning snack. For their mid-afternoon snack they could eat a cereal bar or skimmed yoghurt or skimmed milk, although the cereal bar was recommended. In addition, the subjects were also advised to eat other cereals. At lunch time they had to eat 30–40 g bread and rice or pasta as an accompaniment. 2. Diet V: With this diet, the weight-control measures were based on restricting the consumption of energy-rich foods and increasing the intake of greens and vegetables (minimum of 3 servings daily). Subjects had to eat a salad at lunch and at dinner as well as vegetables as the main course of one of these meals." Also curious as to FAT. Yes, that's what you'd expect. Plain steak has a moderate energy density and palatability even if it's relatively fatty. It's also high in protein, which increases satiety. I agree that short-term satiety won't necessarily predict long-term weight outcomes. However, the list of foods that have the highest SI are basically the same foods I've come to believe are helpful for fat loss for multiple reasons. Lower palatability/reward and a sufficient water, protein and fiber content will help reduce fat mass by multiple mechanisms. Eating a diet based on whole, simple foods with a moderate energy density has always been an effective fat loss strategy for most people, and that continues to be the case today. There's a reason why they didn't examine vegetables in that study. Vegetables have a low energy density and modest palatability/reward value but they aren't a significant calorie source. Foods have to contain some amount of calories to be satiating on their own. Although, adding vegetables to an energy-dense meal can make it more satiating per calorie. Hyper-palatable foods do combat stress, at least in the short term, but eating those foods regularly is a losing strategy in the long term. The brain adapts over time, producing body fat gain, dependence and anhedonia. These changes can be difficult to reverse once established. Did anyone notice in the results that white rice has a higher satiety index than brown rice? The difference isn't very significant, but I'd call that a pretty interesting finding. Eating real food like potatoes, meat, vegetables, fruits, eggs is satiating and helps you control weight. Who could have guessed? What bonus. Stephan, I just began writing my "synthesis" post on low-carb and food reward palatability, because now after 4 days of eating around 200g of carbs daily, mostly from potatoes, I think I have a handle on it. I'll save the suspense until later when I publish but suffice it to say that that SI value for potato is right on the mark n my experience and I'd guestimate my total caloric intake has gone down on the order of 400-500 cal per day since I started eating a lot of them. Stephan, though in the study I cited vegetables were not consumed on their own but added to meals with other foods consumed. The V group almost doubled their vegetable intake while the C group more than halved their intake (with equal energy intake in both diets), yet the C group experienced greater satiety and well-being in addition to greater weight loss. I agree that gorging on high-reward foods all the time can have negative consequences with respect to dopamine sensitivity etc over time, particularly in the context of overfeeding. But I think the polar opposite has negatives of its own and can depress dopamine levels excessively. In moderation I think rewarding foods are beneficial for well-being and appetite control. Cool, I look forward to hearing how the experiment is going. You may well be right that a moderate amount of rewarding food is healthy. I wouldn't recommend an extreme low-reward diet to someone who is lean and healthy. However, it can be useful as a fat loss aid for people who are overweight. In the study you cited, the whole grain cereal group did have higher satiety ratings, however weight loss was not significantly different between groups. One thing for further consideration is the effect of eating the same food over and over. Would potatoes be even more satiating if you ate them every day? About a year ago I obtained a copy of the Holt et al Satiety Index paper, and I have become very familiar with it. My main observation is that foods which combine fat with sugar and/or starch have lower satiety, and those that combine fat with protein have higher satiety. The former are all formulated foods, because that combination is almost nonexistant in nature. As someone who eats plain, nuked sweet potatoes all day long, I can attest to their high satiety per unit energy. I would imagine that boiling them rather than microwaving/baking would result in greater satiety due to a lower rate of appearance of glucose. Great summary and emphasis of the key points! Enjoyed reading the article as I so frequently do. Tonight I had a cup of radish and carrots and 1 nectarine for my dinner. I felt so full so soon as I was eating them that I literally was cramming them into my stomach. I felt so overloaded and in an attempt to make myself feel better I had a piece of chocolate. OMG! I wonder suddenly how my brain got convinced I have space for more. I just went on to have more pieces than what I wanted. I literally had to fight my temptation to have the rest of the pieces in the bar. When I think of this, palatability factor seems to make sense. The really interesting thing about palatable high-fat food is that rats no longer find it particularly palatable if they're given an exercise wheel. It isn't the exercise that does it, the same thing happens if they only do 9 revolutions a day. Very interesting post on Satiety Index of Common Foods,its very amazing because I have saw negative relation between palatable rating and SI score.I want to ask you if add more predictors then what result we found.Share more these type of health and fitness guide research in this blog. Calories ( in almost all cases) are necessary to produce obesity, but not sufficient. The results of bariatric surgery, where even though most patients DO lose significant weight, nearly all STILL remain clinically obese on only abour 1,000 claories a day with- average BMI's of 30 to 32. Brolin R. E. Bariatirc surgery and lon gterm control of morbid obesity. J. Am. Med. Assoc. 288, 2793-2796 (2002). This strongly implies that something is very different baout morbidly obese people that results in obesity INDEPENDENTLY of caloric intake. The Taubes bashers will not touch this factoid with a 100 foot pole. They will not see that the fact calories matter tells us NOTHING about obesity, or the biology of it. I have the information necessary to FULLY discredit the most well known Taubes bashers. Both camps are asking "what cheese is the moon made of ?" Gary's greatest contribution is pointing out somethihg is different in the morbidly opbese, and that "eat less, move more" is UNSCIENTIFIC assumption predicated on an outdated ineffective Hippocratic nostrum which allows uneducated people to socially stigmatize the obese. What the best quality SCIENCE has discovered about obesity SHOULD be sufficient to end the opprobrium of morbidly obese people. P.S. I was recently looking up a well known , Taubes bashing Internet guru from outside the United States, and he cannot be found at all on ANY People Finder or the White Pages of his respective nation. Try it you will find the SAME thing I did. Only SCAMMERS and FRAUDS use false names while marketing themselves as a certain person. Where do you think liver would land on the curve? "The results of bariatric surgery, where even though most patients DO lose significant weight, nearly all STILL remain clinically obese on only about 1,000 calories a day with- average BMI's of 30 to 32"
My first hand observation of a morbidly obese woman who has had two bariatric surgeries did a lot to support the addiction/food reward theory. She began to push against the walls and feel around the cracks with calorie dense high reward foods almost immediately and continuously until she managed to stretch out her stomach pouch adequately to require round two. The surgery was supposed to "work" like magic to control her intakes for her and set the walls of limitation high enough and impenetrably enough that she couldn't help but succeed. She was only eating low calories during the early period which was also when her intakes were being handled by someone else in a clinical sense ie "you can have x ml of pureed peaches and here it is in a plastic cup". Her weight loss stopped when her ability to overeat was sufficient to sustain or increase her mass. Thank you very much for that article link. Fascinating! One must note of course that no free running in a rat is a very abnormal condition being imposed and that the article can also be read that that severely abnormal condition is required to disrupt normal physiology. Still, the interplay between different reward circuits, those that respond to food cues such as but not restricted to palatability, the opportunity to exercise, and those that underpin drug addictions, will be a very exciting field of research in the next few decades I think. Feeding behavior is extremely complex. Any weight loss among the morbidly obese will immediately be met with extremely powerful compensatory mechanisms through a decrease in metabolism and an increase in hunger. What SOME obese feel for hunger is DIFFERENT than a normal lean person. Even a normal lean person who FELT he was starving would eat more. To them , they are STARVING.This is a physiological disfunction of some sort. However, NOT ALL of the obese are eating massive amounts. Some naturally thinnner people have a LARGE appetite. No normal person could possiblky weigh 1,000 pounds. To accomplish this something went wrong in the system. Hence , a DISEASE state. HUge variety in how respond to over feeding. Myself, I could get to maybe 300 if I stuffed myself silly for many years, but I would top out - fat - but not 600 to 1000 pounds. *Energy expenditure falls SIGNIFICANTLY after weight loss. So, an obese person who has gone from 300 pounds to 200 pounds would have to consume CONSIDERABLY FEWER calories to maintain this new weight, as opposed to a person who started out at 200 pounds. This fact, combined with the increased hunger that is manifest after significant weight loss UNDOUBTEDLY contributes to the very high relpase rate seen after dieting. Genetically obese animals become obese EVEN when their food intake is restricted to that of control mice. There is something going on with obese animals and people. All of the science indicates morbid obesity is NOT a personal choice, but rather a disease. Manuel Uribe is stuck obese for life, until science advanes. I am sure Stephan knows all of this, t untgil ough. The reference to the study demonstrating that genetically obese animals become obese EVEN when food intake is restricted to that of control mice. Haalas, J. L. , et al. Weight reducing effects of the plasma protein encoded obese gene. Science 269, 543- 546 ( 1995) . Prescription drug use has gone WAY UP. They are necessary many times, but still are a HUGE problem for weight gain. There are a number of prescription drugs that can cause SIGNIFICANT weight gain. Many people have no change in diet or activity at all, but while on these drugs get fatter. ( I know it is more rare, but respected endocrinologist Dr. Friedman has SEEN this for than a couplke times in his own practice. Your own body can TURN AGAINST YOU in ways you would never imagine! Outliers are real, I agree...but I didn't fear the chickenpox because some people get encephalitis and die, kwim? 1-2 oz of liver can make me feel instantly satiated and I stay that way for hours. It's hard for me to eat anything else - including non-starchy vegetables and fruit - with liver. In my case, the effect of adding butter to potatoes makes them no more or less satiating, but it makes them less fattening. I've done a number of experiments on myself eating a set number of calories at various proportions of one to the other, from all butter to all potato. All butter is consistently the least fattening; all potato consistently the most--with gradients fairly consistent in between. One person's findings aren't significant, and we are all different: but I find fatty food more satiating than less fatty food. Two slices of bacon and an egg keep me going all day, and boiled potatoes don't--but that may just be me. I would add that I've done many experiments on myself to try to work out what is fattening for me and not. I eat a single foodstuff--plus black coffee or tea--to a set number of calories in a day. I'm always repeating to see if I can get consistent results. To this date, the most satiating thing was peanut oil. The amount required to fill a day's calories does not look a lot, but you have to force yourself to keep going, and it makes you never want to put a thing inside yourself again. It's weight-reducing too, like butter, olive oil, other nut oils, and cream. Maybe there was a Seth Roberts neat oil effect. The one foodstuff I cannot do the same experiment with is green or other light vegetables, because the necessary bulk would be too great to eat in a day. But this does back up the finding of the Satiety Index that high-bulk foods are the least likely to be overeaten. As a result of my little tests, I now eat such vegetables with oils and cream, to make them more palatable. I'm not afraid of fatty food, if the fat is good fat--but I don't go near junk food, which is designed to be overconsumed. My wife and I have experimented with oatmeal (Scottish cut, soaked in yogurt overnight) and a solid slab of butter. Without the butter, we get very hungry under 2 hours. With the butter, we are highly satiated until lunch time, which is about 4-5 hours. Our guess was that the high fat content slowed the digestion down. The 8 grams of fiber obviously didn't. And the butter certainly made the oatmeal taste better. As well the slab of butter could have doubled the calories in the 280 cal oatmeal. It could have just been calorie insufficiency, as you would need to eat 7-9 meals at 280 cal to meet your daily needs. I wonder if differences in taste preference will alter satiety levels. The past two days I have had a few meals that were entirely fruit. (Papaya, Oranges, jackfruit, and a pinch of durian) Whereas most people I know get grossed out by sweets after 1-2 oranges (I can have 6 and be fine.. same with soda no real limit for me). And conversely I'm less interested in starches & fat than these people. Anyone have studies / anecdotes / blog posts on the topic of sweet tooth v. fat tooth? That's interesting - I've never thought of it that way. I simply added more food. Funny that I found the article interesting even though I'm not a believer in counting calories. I'm curious about the synonymous use of "satiety" with "fullness" - and the ambiguity of "satiation" - all of which are different in their responses to the ingestion of food. It's well known and documented that satiety, which signals nutrient repletion, can be determined up to 3 hours after consumption (factoring in digestion and absorption). So, obviously, if we waited to be satiated, we'd be in big trouble. So "satiation" - which basically guesses satiety based on the sensory input from food/ingestion (taste, texture, stomach distention) - guesstimates what it thinks is "repletion" and drives us to stop eating. But satiation is easily fooled, as you know, and there are a lot of other variables that come into play as well. Now all that being said, I'm wondering if the state of satiety (restoration of nutrients) is being undermined in this paper and interpretation. It would appear that the basis of SI is on the energy density of the foods, as opposed to the nutrient composition. And because satiation can be "fooled" - by processing food (making it more energy dense), or by the rate at which we are eating -- can't it then be argued that participants overate the hyper-palatable foods not because their brain "shut down" the signals of fullness, but because these signals were delayed? "SI predicted subsequent food intake, such that foods with a higher SI led to less calorie intake two hours later." "focusing on simple foods that have a lower energy density leads to greater fullness and less subsequent food intake, and conversely that highly palatable energy-dense foods promote excessive food intake." Simple foods that have a lower energy density may fool satiation, but you can't fake satiety. The reason why participants experienced "greater fullness" with less subsequent intake was because they were satiated (nutritionally replete) - not just "full" from simple foods that add bulk? Stephan, do you think it is generally not recommended to use high energy density foods as staples (aside from fat)? Foods like dried fruits, meats or long time baked or microwavved tubers, etc. What about starch and fat combined (butter and potatoes)in whatever is the desired ratio (by taste)? There are multiple lines of evidence from multiple disciplines supporting the case for food reward vis a vis obesity. I haven't seen even the beginnings of a comparable corpus for a lack of "restoration of nutrients" (assuming you mean micronutrients) leading to hunger and obesity. and even here, the body's signals for the need for water are often unreliable (CAN be fooled, leading to the advice in several sports "drink whether you want to or not. Drink or die. "), putting paid to the claim "you can't fool satiety"
Is this a new sport? "comparable case" means many studies spanning decades, in such disparate fields as animal training, brain imaging, neurotransmitter blockage (or reinforcement), opiod blockade and drug addiction treatment. a smattering of un-replicated studies here and there may make some kind of case, but i've not seen "comparable". and second, except for a few specific ones, the lack of nutrients doesn't cause generalized lack of satiety. In other words, the body doesn't have a separate a separate sense of hunger/deficiency for most micronutrients and the body doesn't aggregate the individual deficiencies into the common sense of hunger. or let's say senses/sensors that gauge individual nutrient status don't contribute to the general drive called hunger. Yes I'm sure that's right. I suspect it would be very difficult to design a taste system that could respond to the very low concentrations of micronutrients in food. However, there is another possibility. It has been suggested that the taste of sugar is hard-wired to be rewarding because it's normally associated with mineral content. The plant needs the minerals to make the sugar. In the book We Want Real Food the author describes tasting some raw potato grown by a farmer who has re-mineralised his soil, and the potato is SWEET. Yes I agree. I think we have to say that keeping a rat in a small cage with no exercise wheel is profoundly stressful. We know that stress can damage the brain, and we know that palatable high-fat food releases endorphins that help repair the damage. 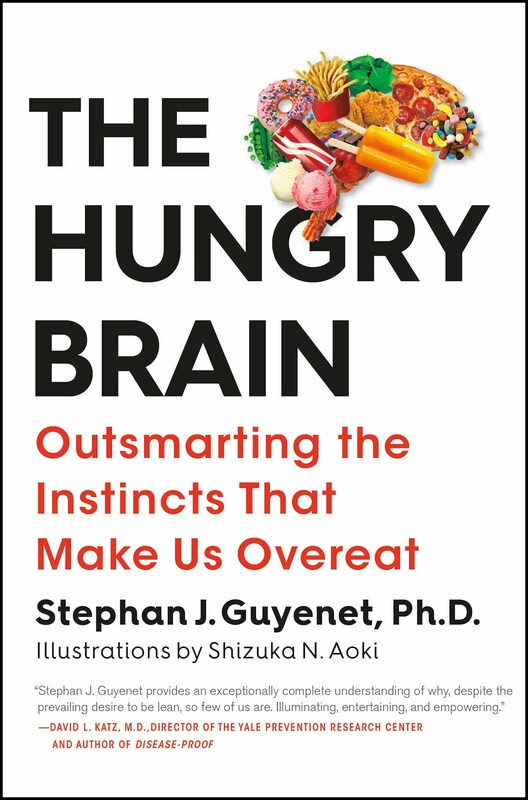 BUT the palatable high-fat food also damages the brain, very fast as Stephan's group has just shown, and apparently causing more damage than the endorphins can repair. Why doesn't the rat know the food is damaging its brain, and stop eating it? Is this the same phenomenon as self-harm, do you think? The most fruitful area of obesity research seems to be the study of the NEW COCKTAIL of beneficial GUT HORMONES created after bariatric suregry. They are tryong to INDENTIFY this new cocktail and make it in pill form. THIS is actually HOW bariatric surgery works- but it is not perfect, "the answer" or a cure. It is helpful to some though.I have this on inside information. Dr. Linda Bacon Ph.D. takes apart the Internet gurus here. Demolishes James Krieger et al's ( the UNINFORMED bashers of Gary Taubes bashers) misinformation. I have wondered myself what role medications, particularly antidepressants, have played in the obesity epidemic. If you look at the timing, the obesity epidemic seems to coincide fairly closely with the introduction and mass prescription of SSRI antideprssants,starting with Prozac around 1990. I know from personal experience that low carb diets greatly reduce my appetite and lead to weight loss...except when I am taking an SSRI antidepressant, in which case I get increased hunger, and carb cravings, and weight gain, whether I eat low carb or not. So the "trick" of the low carb diet reducing hunger doesn't work while on this class of drugs for me. I am low carbing again, and I had to wait until after I went off the SSRI I have been on for awhile before my appetite decreased and the weight started coming off (20 pounds so far). Before that I couldn't lose a pound. There is the additional issue of whether antidepressants also alter metabolism in some way, such that you can gain weight on the exact same amount of food. A lot of posters on depression/anxiety forums who count calories and noticed significant weight gain on the exact same daily calorie consumption as before drug treatment have posted about this phenomenon, but in my case the drugs definitely increase hunger, so I can't claim it's from slowing metabolism. On low carb my appetite is so reduced that I am extremely aware of anything that raises it, even temporarily - for example I took some Benadryl recently due to the pollen situation, and was surprised to find myself wanting to snack inappropriately. I wonder how many doctors giving diet advice take their patients' antidepressant status into account, or how many people who find low carb doesn't work for them, are on an antidepressant (or other hunger-stimulating medicines). Several top obesity scientists told me this by email. That was perceptive of you. stephan, here's what i have personally experienced. since i started eating primal, the only thing i binge on is salted nuts - mostly dry-roasted. not unsalted nuts, just salted ones. i can eat 5 oz of salted almonds at one sitting and stop when i feel like throwing up. unsalted almonds soaked overnight? i eat maybe four or five and stop. so i stopped stocking salted nuts. i don't binge on nuts at all now. salt makes fatty nuts more palatable to me - so palatable, that i can't control how many i eat. i am a very disciplined eater in most cases. so there you go. this palatability and food reward hypothesis makes sense to me. The paper used the term 'satiety', but what they actually measured was both satiation and satiety, as judged by measuring fullness at 15 minute intervals for 120 minutes after eating, as well as food intake at a meal after 120 minutes. Despite internet discussion on the topic, I have yet to see any evidence whatsoever that micronutrients influence satiety or satiation (if that's what you were referring to). If it were that simple, we could just take micronutrient supplements along with our meals and be more sated. There was one study in Chinese people suggesting that a micronutrient supplement causes weight loss, which is interesting, however with the number of people who take supplements and eat highly fortified breakfast cereals in this country, and the number of studies that have involved supplements, I find it very hard to believe that an effect like this would have gone under the radar for so long if it were broadly applicable. There is some evidence that macronutrients are involved in satiety in the short term, and this squares with research showing that our guts/brains have mechanisms to specifically detect the macronutrient composition of food (to my knowledge, no such mechanisms have been described for micronutrients except sodium chloride). However, it's complicated because neither protein, carb, nor fat restriction causes increased food intake in the long term, and none cause fat gain in humans (if anything, they all cause fat loss). White rice is virtually devoid of micronutrients, yet it's about as sating as any other carbohydrate food with a comparable energy density and fiber content, and populations that eat white rice for a majority of calories tend to be lean (this cannot be attributed solely to a lack of available calories). Manipulating nutrient concentrations in animal feed can alter body fatness under some circumstances, but again it's more complicated than "more nutrients equal less food intake and body fatness". That's true for some nutrients, but the opposite is true for others. There is no evidence any of it is related to satiation or satiety due to the body detecting micronutrients in the ingested food. As Razwell said, some psychiatric drugs cause fat gain because they act on energy homeostasis circuits int he brain. It depends on your goals. For fat loss, lower energy density may be helpful. Meat is not a high energy density food though. So foods higher is sugar make you more hungry - got it. Wait didn't we know this from the insulin role? Nutrivore said: "the only thing i binge on is salted nuts - mostly dry-roasted. not unsalted nuts, just salted ones. i can eat 5 oz of salted almonds at one sitting and stop when i feel like throwing up. unsalted almonds soaked overnight? i eat maybe four or five and stop." I found something similar, so I experimented to see whether the salt or the roasting were to blame. On some days I ate unroasted nuts with salt on them, and on other days I ate roasted, salted nuts with the salt washed off. Neither made me want to eat more than the roasted salted nuts did. From which I concluded that the combination of the salt and the roasting oil was the palatability hook, as the producers planned. The transfat-plus-salt formula in so much snack food is lethal and much to be avoided, in my opinion. The "Fullness Factor" at Nutrition Data is derived from Holt's Satiety Index, except that it disagrees strongly on potatoes. The rationale speculates that Holt's methodology may have contributed to an artificially high satiety rating for potatoes: "Per the study's design, the participants were separately fed 220-calorie servings of each food. A 220-calorie serving of plain potatoes is much larger and much less palatable than the other foods studied. The size of this serving may have induced a repulsion to the test food that goes beyond the normal satiating response". I wonder instead if another possibility is that a demotivational factor kicked in. Since plain boiled potatoes are so dull, perhaps they reduced the appetitite, as Stephan--and, in a different way, Seth Roberts--has suggested that "simple" food does. You make a good point about potatoes. It's hard to believe that they're truly such an outlier relative to other foods. Based on the factors they identified (particularly palatability, energy density and fiber content), potatoes should be among the most satiating foods, but not necessarily an extreme outlier. I'd be willing to believe that they aren't any more satiating than meat or fruit, in the context of a normal mixed meal. Thanks for pointing out ND's fullness factor, that is useful. "If it were that simple, we could just take micronutrient supplements along with our meals and be more sated. it were broadly applicable." Without stirring up a debate on natural vs. synthetic vitamins, synthetic vitamins and minerals have become ubiquitous in our food supply. And even our conventionally grown "whole foods" are now altered on a molecular level due to the way they are farmed, grown and raised. Are we not seeing the forest through the trees? Could it be that obesity and our inability to regulate body fat is because ALL of our systems are out of whack due to an engineered diet of synthetic vitamins and novel proteins? Thanks for your answer, Stephan. I meant dried meat though. BTW, do you know of any unmodernized (healthy) cultures which commonly mix fat and starch as one food in their meals? Supposing the problem with high-fat diets is that the fat increases the requirement for certain micronutrients? Many years ago Leslie Klevay found that a high-fat diet causing heart disease in mice did not do so if they were given extra copper. Stephan has blogged about this. Saturated fat also inhibits manganese absorption. Copper and manganese activate what are arguably the most important of the antioxidant enzymes, the superoxide dismutases. For some reason the 'antioxidant cocktails' that have been tried on various diseases without success did not contain either manganese or copper. Considering that obesity is associated with oxidative stress like the rest of the metabolic syndrome, I think giving rodents on a high-fat diet extra copper and manganese might be a Nobel-prize-winning idea. above URL for "Weight Gain is Associated with Reduced Striatal Response to Palatable Food"
Thanks Sanjeev, that paper was very interesting. Stephan, you say that "White rice is virtually devoid of micronutrients"
Comparing potatoes and rice shows that some types of rice like basmati contains a lot more minerals like iodine and selenium than in potatoes. Could that be an explanation to why they are more beneficial than we think? Some cultures do, but it doesn't seem very common. The Kitavans and Polynesian islanders add coconut milk to baked starchy food sometimes, but not always. I was exaggerating in that comment, but white rice does tend to be lower in nutrients overall than potatoes and most other starch foods, on a per-calorie basis. Stephan, do you think it's possible that overall appetite would be upregulated as a result of a specific nutrient deficiency? Have you ever come across any evidence of the body wanting more food in order to get more zinc, for example? MDs and researchers specializing in deficiencies would be good people to ask. My reading to date has yielded the provisional result that a great many deficiencies actually suppress appetite. Look through your own experience and draw your own conclusions - are iron-deficiency anemic women more likely obese or skinny? PKU sufferers - are they constantly hungry when on a compliant diet? I went through a much bigger list on another forum but I bet you could generate your own list easily. During the time he had scurvy, did Paul Jaminet get enormously hungry and endlessly stuff his face? the other thing I've been thinking about is Darwinism: what would be possible selection mechanisms that would couple nutrient deficiencies to hunger? Paul Jaminet hasn't seemed to apply his choline overdose suggestion as a down-side of "deficiency causes hunger" supposition. Back to the boiled potatoes in the SI Index paper by Holt et al. The 240 kcalorie portion is about two 5 oz potatoes. This information is from the US Dept of Agric. website that gives nutrition information on foods and beverages. I had it straight in my notes but just realized I mis-typed it here. So even before we get to selection mechanisms, the economics of selecting that trait don't add up. Yes, that 240 kCal is two small (5 oz) or one large (10 oz) potato. One potential significant factor in potatoes is the fact that potatoes eaten cooled down some have a significant amount of "resistant starch." Resistant starches end up being fermented in the colon and producing short chain fatty acids (SCFA) such as butyrate which seems to have, among their effects, a tendency to significantly increase satiety. I'd suspect that the potatoes used in the study were not kept piping hot. If so that may have played a role in their unexpectedly high satiety rating. Thanks for that info about potatoes and resistant starch. Extremely interesting. I didn't realise resistant starch is in the same category as fermentable fibre. Apparently the SCFA made by gut bacteria from fermentable fibre not only feed the gut cells, they also make the colon acid so minerals become soluble and can be absorbed. People used to think the colon couldn't absorb minerals. Perhaps they did the experiments on subjects who didn't eat any fermentable fibre. This explains why phytate is such a puzzle. Does it inhibit mineral absorption or not? Well, apparently if you eat enough fermentable fibre so your colon is acid, the minerals fall off. Klevay found that phytate actually improves copper absorption. He says it binds zinc better than copper, so the zinc stays insoluble bound to the phytate, and the copper is absorbed. His work suggests that heart disease is caused by a high zinc-copper ratio. As far as I have been able to find out, phytate also binds iron better than manganese. So phytate might correct the mineral imbalance caused in theory by a diet high in beef, which has enormous quantities of iron and zinc and hardly any manganese or copper. The moral of the story is, eat your beef with beans and brown rice, not with white bread! No wonder whatsisname got so fat and ill eating nothing but McDonalds for a month. So now I am wondering, does the satiety effect of butyrate come from its effect on mineral absorption? There is a new satiety hormone called uroguanylin which is produced in the gut and works in the hypothalamus by making cyclic GMP, whose synthesis requires manganese. Stephan, I had a post here which has disappeared. I tried to post a second version and couldn't. > Stephan, I had a post here which has disappeared. I tried to post a second version and couldn't. if you deleted the original and tried to post something very close to that original OR (Google's abuse or spam countermeasures systems) didn't like the original it won't let you post something very close to that original. Try completely rewriting the verbiage if it's not too much work. I found it in my spam filter. Just published it. How is palatability defined objectively? Isn't palatable food just food people like to eat? So saying that palatability overrides satiety is just saying the same thing in two different ways. The food we eat more (palatability) of is the food we eat more of (switches off statiety). This is circular reasoning; where is the fixed point of reference? I have heard this a million times and addressed it a million times. If you offer someone a small portion of a food, have them rate its palatability, then offer them an unlimited portion, their consumption of that food in the unlimited state will reflect their initial palatability rating. There is nothing circular about that. It's simply common sense that has been backed up by controlled experimentation. Palatability is subjective, but it is routinely quantified. It can be studied in the same way as other subjective things like depression are studied. Subjective phenomena are amenable to well conducted scientific investigation. Thanks Stephan. Thanks Sanjeev too. Stephan, if you haven't been reading about uroguanylin, please do, it's starting to sound to me like the Holy Grail of obesity research and nobody seems to have made the connection with manganese. Uroguanylin prevents not only obesity but colon cancer too, which is very interesting because phytate can also prevent colon cancer, possibly by making iron less available and manganese more available. We know colon cancer is associated with obesity, and also with consumption of white bread. Ha! What is your current stance on antinutrients like phytic acid? You point out that antinutrients are good at suppressing appetite and generally offer a higher satiety than foods without them? Do you still think phytic acid plays a major role in reduced mineral absorption, or is traditional preparation still a safe bet? Eating bland, low calorie foods causes weight loss. Wow, really? If only I could actually stick to eating that way in a world where I am surrounded by cheap, tempting treats at every turn. I think we all have a pretty good idea of what works for weight loss. The problem is the implementation, especially over the long term. Asking a person to stick to an extremely low-palatability diet for years is really unrealistic. And as soon as that person goes back to eating some of the foods that made them fat to begin with, the weight returns. "the brain "shuts down" feelings of fullness when you consume highly palatable foods, and this can be mimicked by administering drugs (such as marijuana or opiates) that stimulate these brain pathways directly (2, 3)." Doesn't work for me -- marijuana shuts down any interest in food for me. No munchies at all. In fact, food becomes repulsive. "If you offer someone a small portion of a food, have them rate its palatability, then offer them an unlimited portion, their consumption of that food in the unlimited state will reflect their initial palatability rating." What does it mean to "rate palatability"? Does it mean, "How much pleasure did you feel when you ate that food?". Asking someone to rate "palatability", how much she "likes" something, and even how "pleasurable" something is could easily be construed as, "Did you get enough of this to satisfy you?". The question is not merely subjective, but perhaps equivalent to asking the person whether she is likely to want to eat more if given the opportunity. I have a couple points of experience to add to this discussion. 1. When eating a high carb diet, my bg goes high (I'm a T2 diabetic) and sometimes I get hungry. 2. When eating a low carb diet, my bg stays lower and sometimes I get hungry. The word "hungry" describes two entirely different subjective states in those sentences. In the first sentence, it is a physically painful state, enough so that it often has woken me from sleep. When it hits, I cannot concentrate on anything else or distract myself, because I am in pain. In the second sentence, it is a mild feeling that if my interest is elsewhere, can be ignored for many hours, even entire days. In either case of "hungry", if you sat me down and asked me to eat a plate of food, I'd happily oblige. I might even eat similar calorie counts in each case. But my motivation would be very different in one state of hunger versus another. I don't eat more when my bg is high because the hunger is more often, but because the hunger HURTS. I don't see anything that describes my experience of very different types of subjective hunger in this conversation regarding satiety and palatability. It's not just the AMOUNT of hunger that goes down on low carb, but the QUALITY of hunger is very different. Second is... my experience post my MI and CABG, when I became more interested in nutrition and prevention of future heart issues and did some research. I had already been cooking mostly from scratch for decades, as when you live on meat, nonstarchy veggies and high-fat dairy, you cook. Also, I was frugal and cooking is much cheaper than buying packaged foods. So there was little room for processed food in my diet. However, I switched a lot of my purchasing habits afterwards, started buying organic produce even though the cost made me cringe, started buying pastured meat and eggs, started buying coconut oil and butter instead of vegetable oil and margarine. All of these foods were significantly more expensive than what I bought before. And since I was disabled, our family income had dropped significantly (as did my gardening, which at one point, produced about half the produce we ate). But I was very determined that the experiment to eat better food continue even though it made me crazy to spend $30 on one measly little chicken (I used to get 40 lbs of leg quarters for $.29 a pound!) and $4 on a dozen eggs (that were buy one get one free at .99 in the grocery!). After six months, I sat down with my grocery bills, including my "new" bills from individual farmers and farmer's markets and ordering from the internet. I needed to figure out what the heck this new passion of mine was costing us. And I discovered, we were NOT spending more money, that I was buying significantly less food. Our diet did not change from processed food to real food, simply from mediocre real food to more nourishing real food. But we began eating less spontaneously. I don't see how this would have occured unless saiety were somehow related to nutritional status. I seriously doubt we had any specific nutritional deficiency before, and I also doubt it's something specific like feeling "full" cause you ate enough vitamin C. But... more nutrient-dense foods seem to reduce appetite. Old post, but ivat, I am very curious to hear more about your eating experiments. Also, what general eating plan do you follow now?